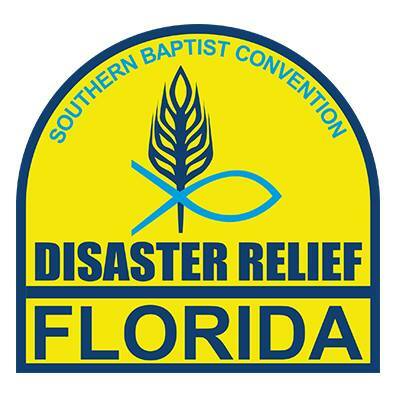 In the wake of a disaster having trained volunteers helps Florida Baptist Disaster Relief be the go to faith based volunteer organization. Every year FLDR plans training opportunities in every region. We try our best to have training events within a two hour driving distance in each region. Being a trained volunteer allows you to be a credentialed volunteer. Every volunteer must be credentialed to be allowed in a disaster area. During the regional training you will receive your yellow hat, shirt, and official FLDR badge. Beginning in 2015 volunteers will go through a background check before being credentialed. Background Check cost is $17. First Time Volunteers will participate in our New Volunteer Class that is designed to prepare volunteers to be able to respond effectively with our ministry. Information will be shared to help answer the questions that all new volunteers typically have. The class lasts all morning. After lunch, first time volunteers will be able to choose one to attend a Ministry Area Class to get specialized training in the area they most likely want to work. You can cross train in other Ministry Areas by attending another regional training event. *Price includes: lunch, training materials, ID badge, t-shirt, hat and pin. These items will be mailed to you after we have received your background check clearance. Cost for background checks is additional. During the morning, they may choose to get additional training in their primary ministry area in a specialized class. After lunch, they may choose to attend another ministry area class to receive training in another specialty thus expanding their ability to minister. *Price includes: lunch, training materials. **If your badge has expired you will need to attend the New Volunteer Class in order to get a new badge. Badges expire every 3 years. Background checks will be required when badges are renewed. Cost for background check is additional. Why do I have to be trained to be a volunteer? Emergency Management Officials now require all volunteers to be credentialed by an organization like ours before they are allowed to work in a disaster response area. Our training is designed to meet these requirements and prepare volunteers to do effective ministry when called upon. How do I register? Register at the event site between 8:30 AM & 9:00 AM the day of the event. Why is there a fee to attend? The cost of training a new volunteer is more than $60. The fee is to help us offset some of the costs. Participants will receive DR shirt & hat, ID badge, training material, instruction and lunch for attending. What about lunch? Lunch is prepared by trained feeding volunteers on one of our feeding units at the event. The cost of the meal is included in the registration fee. What about time zones? The schedule is based on the time zone of the event site. Why isn’t there an event closer to me? The training season can only be done between March and June because we have to be ready to re-spond to our most likely disaster, hurricanes, between July –October. With a limited number of weekends available, we have to do regional events. Our goal is to have at least 1 event within a 2 1/2 hour drive for volunteers to attend. We move the sites to different associations from year to year within specific regions. How old do you need to be to attend training? Everyone can attend the training. Anyone under 18 will be considered a Youth. Youth cannot be called out on their own and will need to respond with their credentialed legal guardian. Youth do not have to pay the registration fee and will ONLY receive a “youth” badge and lunch that day. Will background checks be mandatory? Yes. The Florida Baptist Convention has now added this requirement to continue the practice of protecting those whom we serve.